The SDM hosted its 13th annual Give Kids a Smile Day on October 8. Nearly 110 children received free comprehensive dental care valued at approximately $61,000 while also enjoying fun education activities highlighting the importance of oral health. Watch a video about the 2018 Give Kids A Smile Day at SIU SDM. 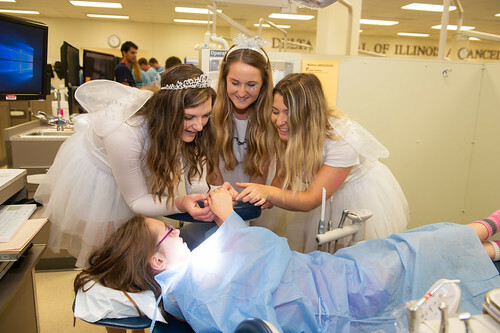 View photos of the 2018 Give Kids A Smile Day at SIU SDM. SIU SDM is grateful to for sponsoring our 2018 Give Kids A Smile Day! Also, the 2018 Give Kids A Smile Day received generous support from the Madison District Dental Society and the St. Clair District Dental Society.